You could visit Italy a 100 times and still not have seen everything! 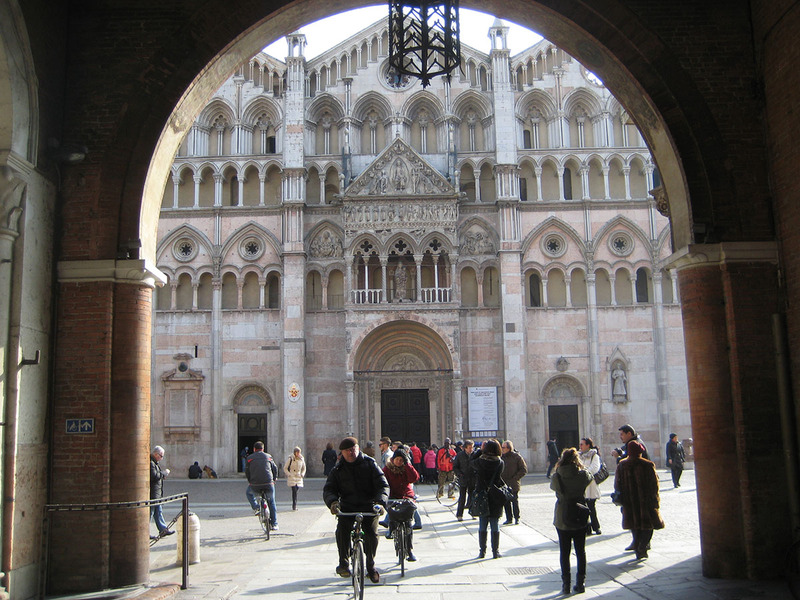 Ferrara in the north of Italy offers a magic atmosphere, friendly people, and so many outstanding monuments that made me wonder why I had non vesited this city before! 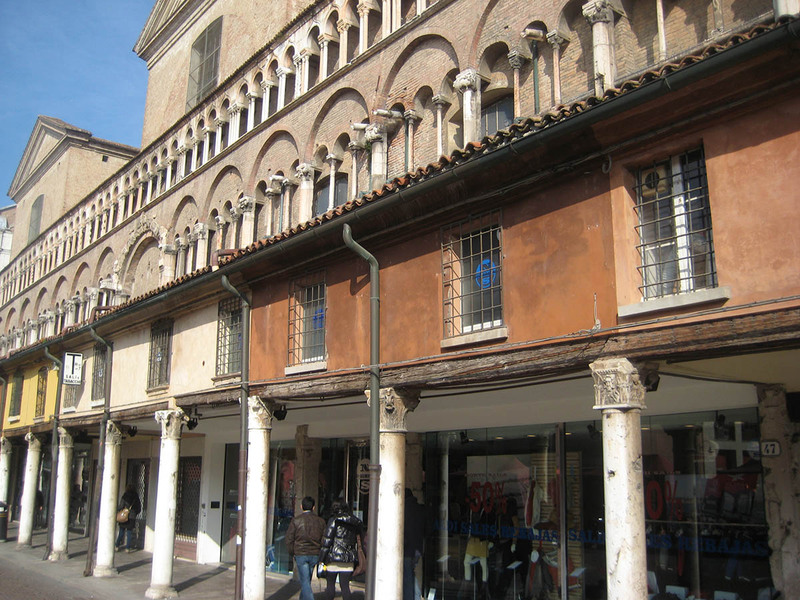 In the Middle Ages and in the Renaissance Ferrara enjoyed its gratest splendor, especially thanks to the dinasty of the ESTE family. Their power lasted until the end of the sixteenth century and then the city was taken over by the State of the Church. 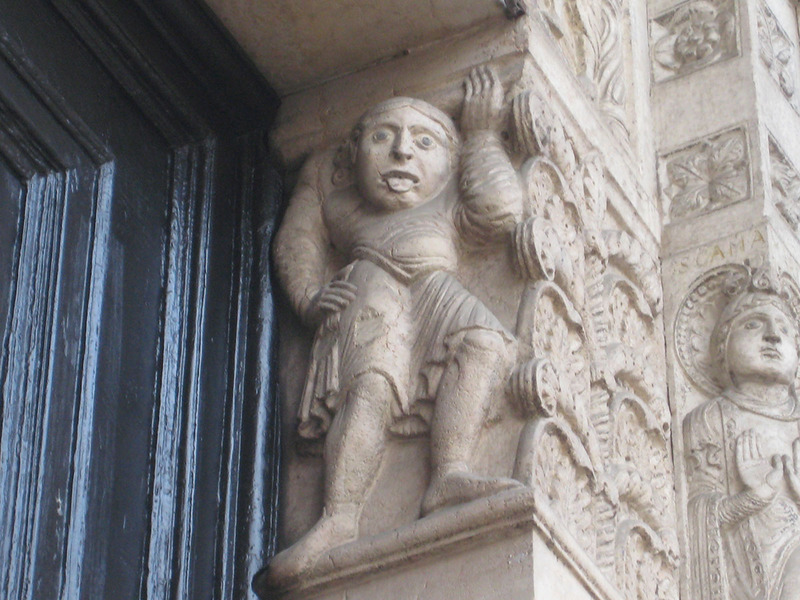 To this contributed the fact the Este family did not have any heirs and maybe also the repeated earthquakes from the 1570s that lasted for four years scaring people to death and making them abandon the city. In the heart of the city is the CASTELLO ESTENSE, (Estense Castle) still surrounded by water. In the cellars are the dungeons where the enemies of the family (members of the family as well!) were kept and later executed. Don Giulio spent 40 years in those prisons and at age 81 he was set free! Graffities of those times can still be seen on the walls. In the upper floors are spacious rooms whose ceilings are decorated with fresco paintings. The cathedral has so much precious work! Lots of marble galleries with little columns in the outer decoration. 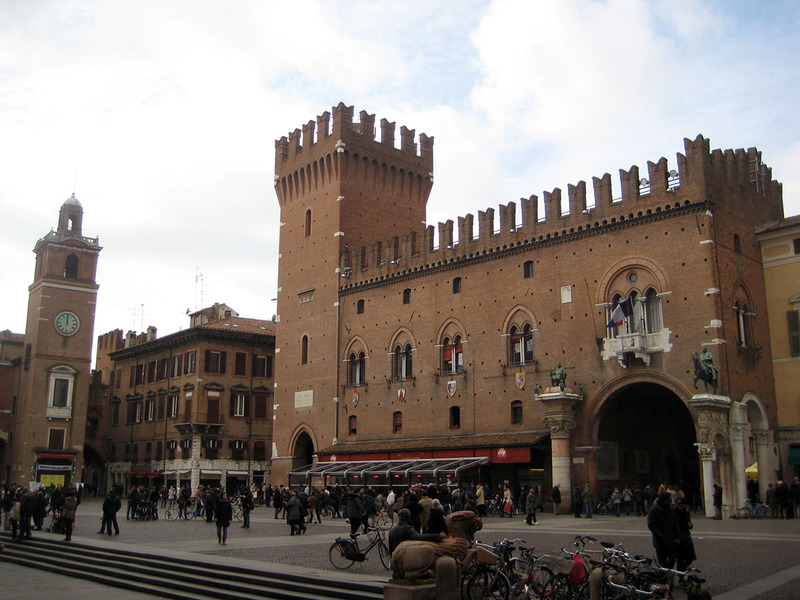 Ferrara is still surrounded by the old city walls. One can walk, jog or ride on the walls providing amazing sport facilities! 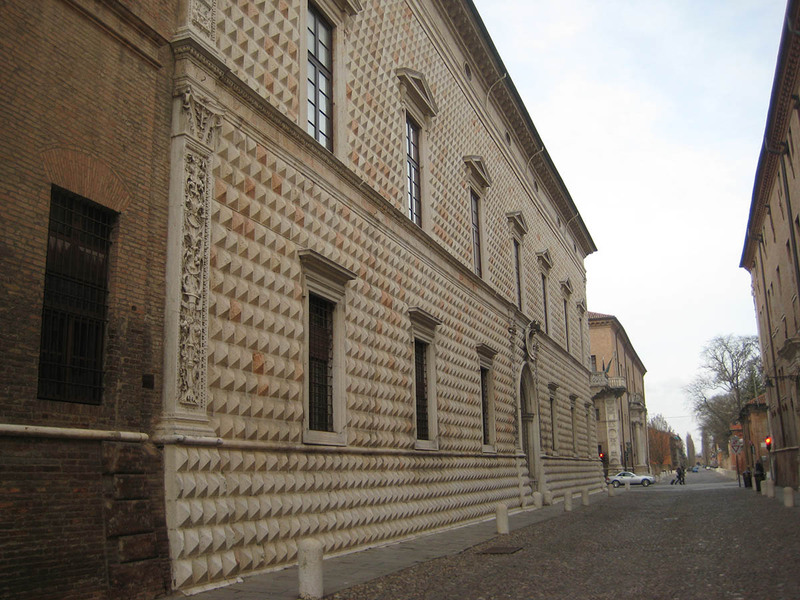 The most beautiful palace is the PALAZZO DEI DIAMANTI “, the “Palace of the diamonds” with 8,500 stones in the shape of a diamond point that decorate the outside.